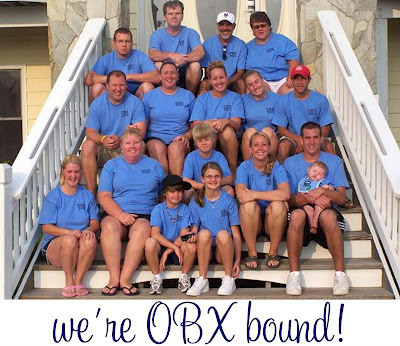 That's us in OBX 2 years ago. Don't we look cute in our matching shirts? Hehe. 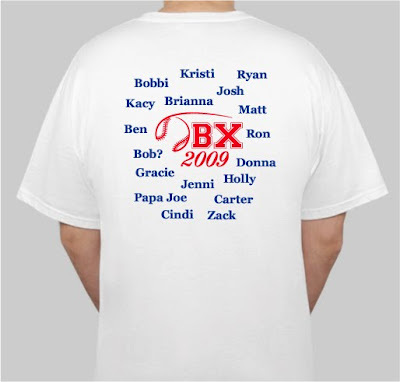 Every year we design shirts and order them from a wonderful company called Custom Ink. We then wear said shirt for the 7 hour drive down to North Carolina. At every stop along the way, we have people asking us about where we got them and how cool they are. I'll be honest though, the boys hate it, lol. But you can't argue with tradition! Not only am I excited about our new shirts and the fact that this vacation is something that I look forward to all year long, I'm also super excited to take Carter to the beach for the first time ever!! I can't believe that we live 45 mins from the ocean and I haven't taken him to the beach yet. Kinda sad, but we just haven't had time! 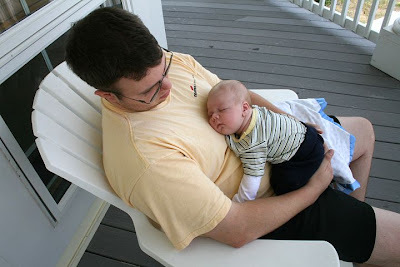 Carter did make the trip to OBX last year, but since he was only 5 WEEKS old... ...he didn't go to the beach at all. Look at my little peanut. What happened to this last year? Anyway, it should be a wonderful time and I look forward to sharing stories and pictures when I return. Until then, I'm also taking a vacation from the computer and I'm going to try my best not to go on. At all. So I totally forgot to explain the "?". 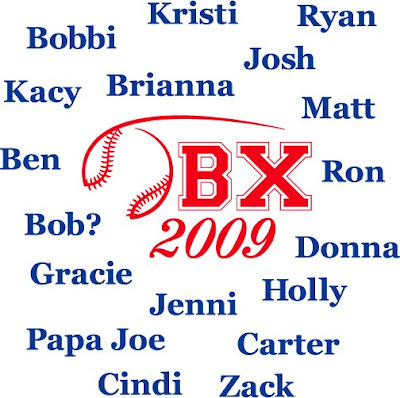 All of our friends and "phamily" say Bob's name as if it were a question. When we talk about him. When we call him. Always. It's pretty funny. It's said more like "BOOOBBBB?" then "Bob", hehe. Totally random, I know. So when we started making the shirts a part of our OBX trip 4 years ago, we decided that it would be funnier to insert the "?" after his name, because that's how we say it :) Make sense? Probably not, lol. YOU my dear are amazingly creative! I love lurking and seeing all of your amazing ideas! Have fun! Cute idea with the t-shirts. Maybe we'll have to do that for our family trip to Disney! Have a great time on your trip! Looking forward to hearing about it and seeing all the pics on your blog when you return!!!!!! Hope you have a wonderful vacation! Can't wait to see pictures!!! PS: You didn't explain the '?' after Bob's name!? LOL. 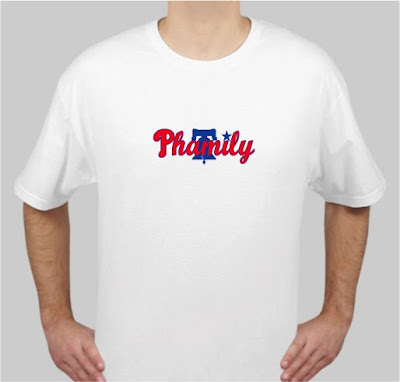 You gotta fill us non-"phamily" members in! Don't worry! I live in a neighborhood WITH a beach. We literally could throw a rock to it and we still have not taken Jacob to the beach yet. We are on vacation next week though and I was pregnant and high-risk this summer so I have an excuse! Have a blast! The OBX are so much fun! I love the shirt idea, I'm wondering if I convince our family to do this for our trip down to NC every year!! We just got back the OBX two weeks ago, I want to go back!